Remove the turkey from the refrigerator and let it sit at room temperature for 1 hour. 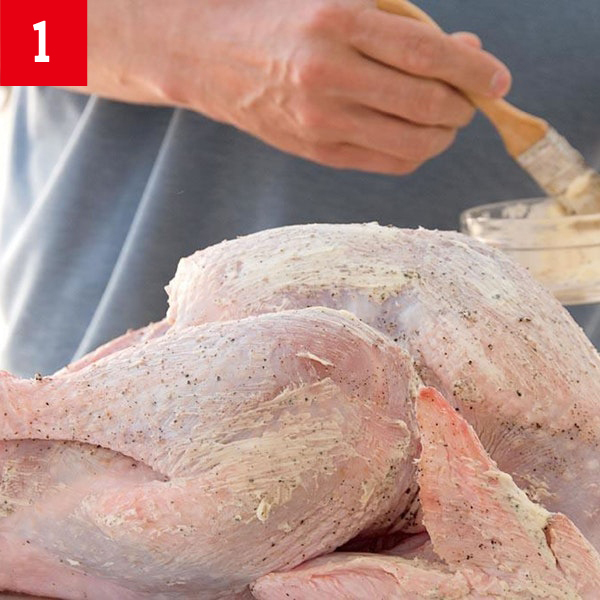 Brush the legs, breast, and wings with butter. 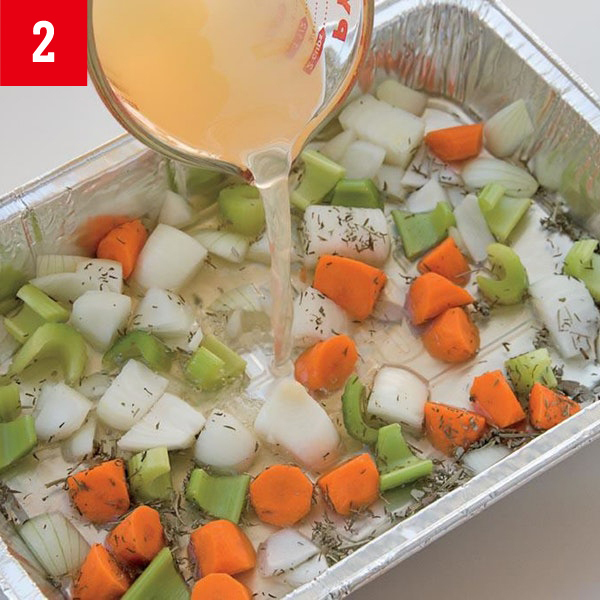 Place one large disposable foil pan inside the other and add vegetables, herbs, and 2 cups of chicken broth. 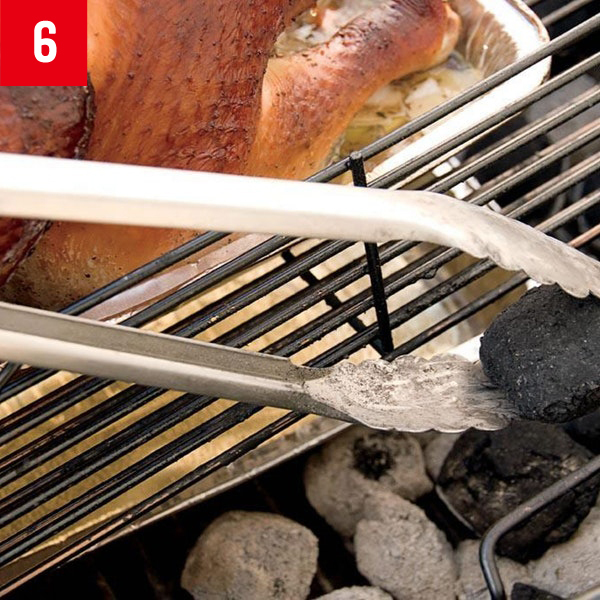 Arrange the charcoal in a half circle on one side of the charcoal grate. 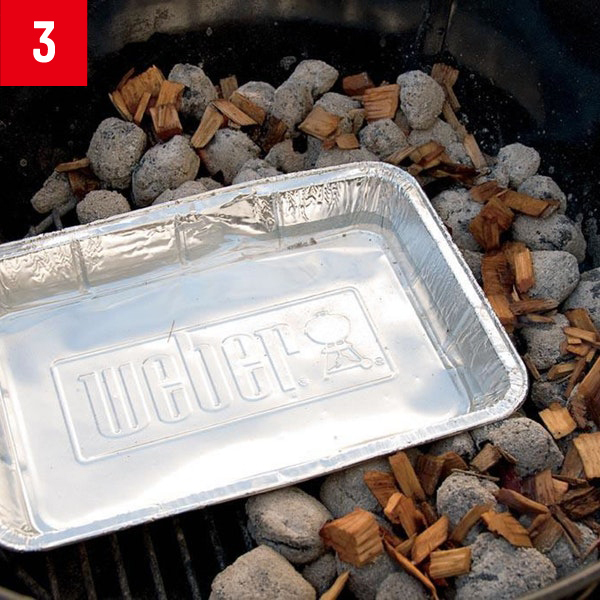 A large disposable foil pan filled with warm water will help you maintain the temperature of the fire. Place the turkey, breast side down, inside the foil pans and over the vegetables. 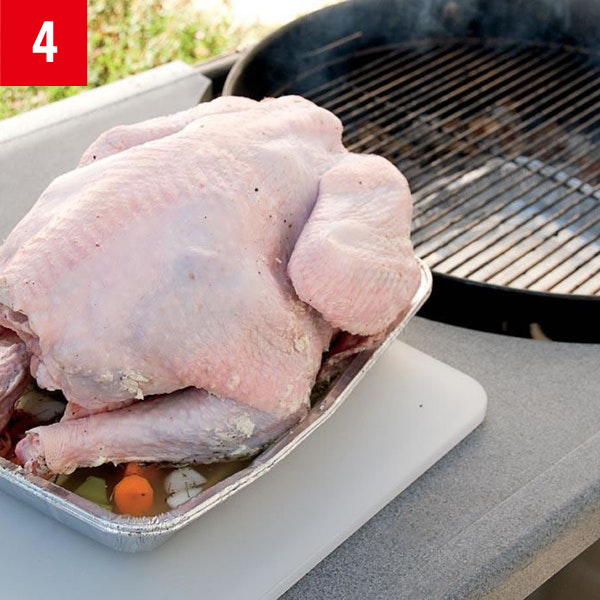 Add damp wood chips to the charcoal and set the pan on the cooking grate over the water pan, with the legs facing the hottest side of the grill. 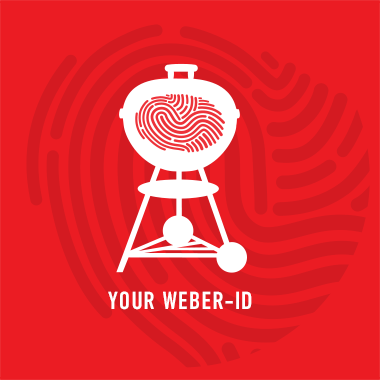 Keep the grill temperature inside the range of 350° to 400°F, adding charcoal as needed. 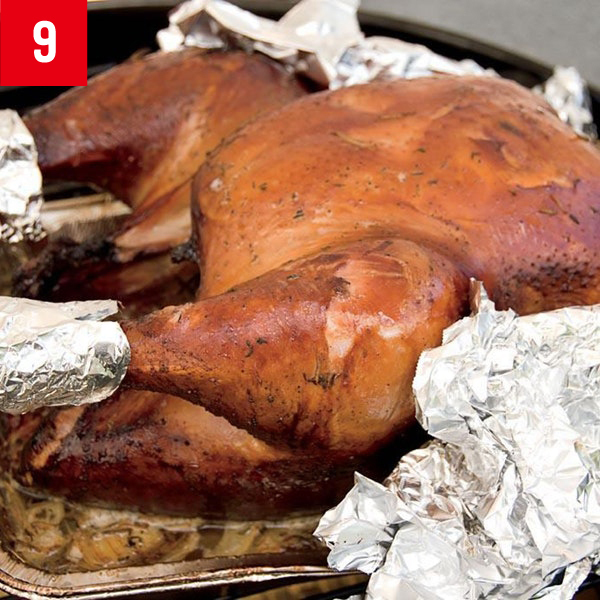 After grilling for 1 hour, flip over the turkey so that the breast side is facing up. 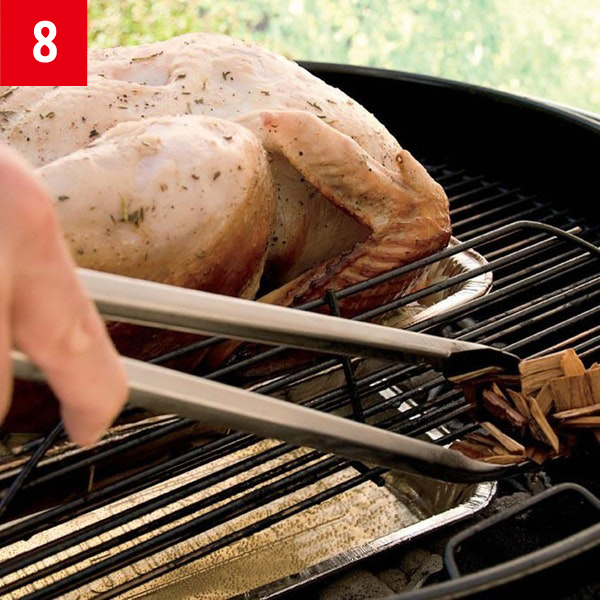 Continue grilling and smoking the turkey, occasionally adding damp wood chips. 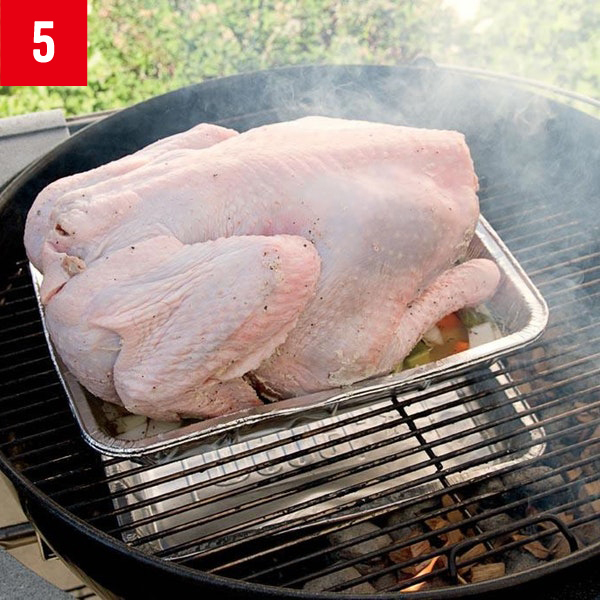 After the turkey has been on the grill for 1½ hours, cover any parts that are getting too dark. 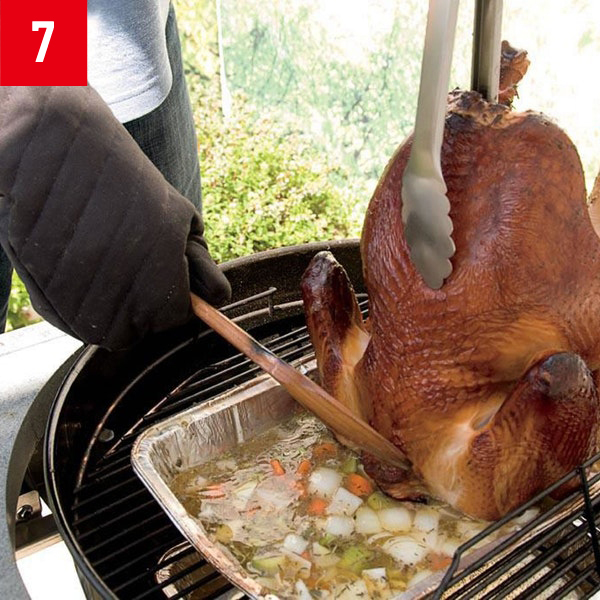 The turkey is done when an instant-read thermometer inserted into the thickest part of the thigh (not touching the bone) registers 170° to 175°F. Transfer the turkey to a platter and let it rest for 20 to 30 minutes (the internal temperature will rise 5 to 10 degrees during this time).